With the update 0.1.3.0 you can use the new worker system and new machines. 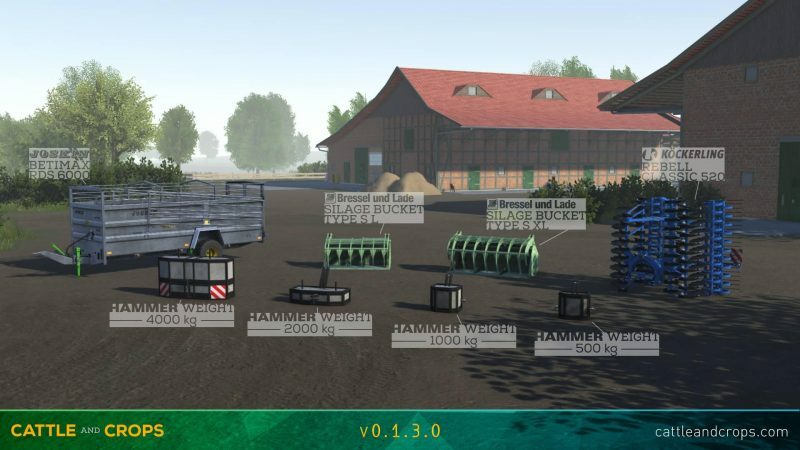 The new worker system now also takes the headland into account, so that most of the turning maneuvers can be performed without leaving the field. We also strongly improved the savegame support for the worker. If there are no big problems with the new employee, we will subsequently address the topic of multiplayer! At the same time we are working on the gameplay, the physics, the controls and new content for the combine update and the following grassland update. We have received new backup in the forum and would like to welcome the new moderators Jeytav, DannyA4, Fck54, Florian1986, JP86 and Buttermaker. We have created an archive for the bugreports in the forum, all “finished” topics are being closed and moved there for a better overview. We hope you have fun and wish you a nice weekend! All changes, bug fixes and news you can check out in the changelog as always.